Finally ready to start making money as a writer but don’t know which freelance writing courses are the best? Freelance writing is a great way to make money from your life laptop and never have to go to an office again. It has changed my life and I know it’s a skill that I can always depend on to generate income without a 9-5. In my first year of freelance writing, I took five different courses because I wanted to speed up success. I didn’t want to try and figure it out on my own. Here are the ones I’ve taken and some of the other popular ones that can help you launch your writing career. Learn How to Start Making Money as a Writer Today! I’m a big fan of the Tony Robbins quote, “Success leaves clues.” If you want to start anything new, whether it’s freelance writing or weight loss, someone else has already done it. So why not learn from successful people to speed up your success. I’m confident these 11 writing courses can help you start making money as a writer. Earn More Writing is one of the five courses I took when I started my freelance writing career. I was adamant about speeding up my own success to start landing clients and getting paid. It was created by Holly Johnson of Club Thrifty who is a freelance badass! 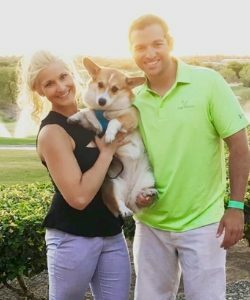 I met Holly at a financial blogging event, FINCON, in 2017 and was super impressed by her freelance success. She launched her freelance writing career years ago as a newbie and now earns over $200,000+ each year! This 8-module video course can help you go from newbie to expert in freelance writing. I used a lot of what I learned here to launch my freelance writing career and am very grateful for it. Plus, Holly shares even more tips to crush it as a writer in her Facebook group. Learn more about Earn More Writing now! Elna Cain’s Write Your Way to Your 1K is another super effective online freelance writing course. She is a blogger and full-time freelance writer who crushes it online. I love her content as she talks a ton about creating the mindset and belief system to achieve success as a writer. It’s very similar to Earn More Writing and shares a ton of similarities. One downside to this course is it’s written only and there isn’t any video content. But needless to say it still gives you everything you need to make big money as a writer. 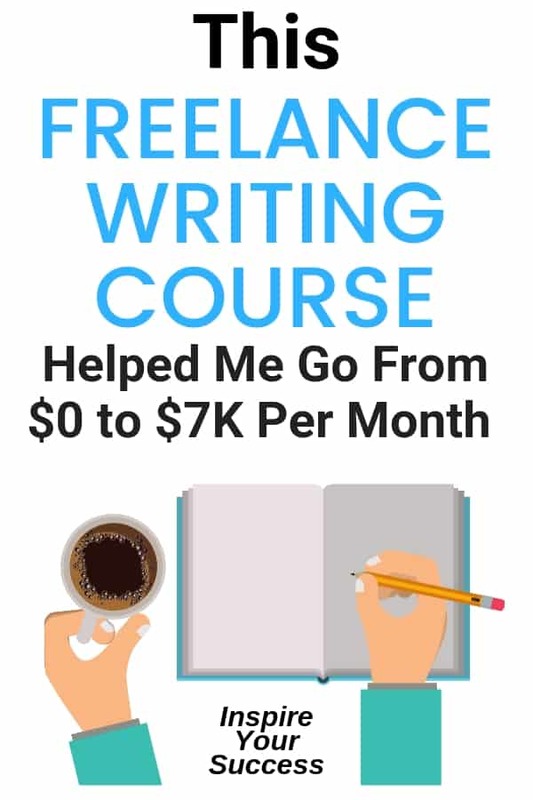 This is a self-paced course that will set you up to earn your first $1,000 and way more as a freelance writer. Learn more about Write Your Way to 1K here. 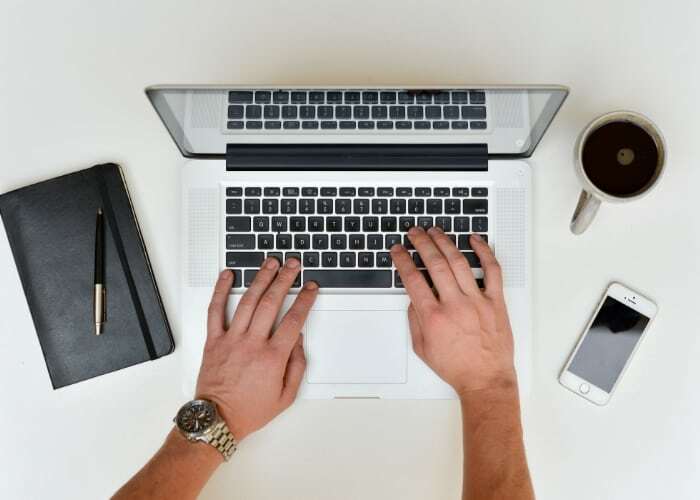 Creative Freelancing Freedom is a freelance writing course from Lizzie Davey and is another top pick to help you “make it” as a freelance writer. And it’s not just freelance writing, it’s actually geared toward making it as a freelancer outside your 9-5. Lizzie makes you feel as though she is speaking directly to you as a writer, and this course is a great place to build a solid foundation. This course is $247 and comes with a 30-day money back guarantee. It is a small price to pay for lifetime access to this awesome course. Reviews are nothing but positive and it’s a great combination of video and written content. Who doesn’t want to travel the world and make money halfway around the world as a digital nomad? Travel Writing will help you do just that. This course has a unique twist as it as three experienced travel writers to guide you through every step of the process. It breaks down everything you need to crush it as a writer and learn the ropes of traveling the world. If you’re a freelance writer who enjoys location-independence, this is a great course. At $319 (with 15% off for paying the full fee, or the choice of eight monthly installments), this course is the best on the market if you’re keen to break into the travel sector. Let’s get real, fear holds so many people back from ever making the leap to freelance full time. But Ieva Lacaine has you covered. She is a graphic designer, digital marketer, and digital nomad. She’s has created a comprehensive online freelancing course to show you how you can leave the corporate world behind and turn your passions into a real business. Ready…Set…Start Freelancing! is a course that covers everything from creating a business plan to branding yourself as a freelancer, to marketing yourself and getting clients. And as a graphic designer, the content is nothing but fantastic. 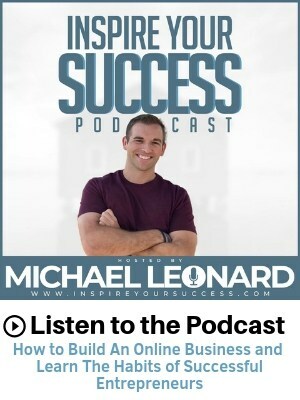 It’s a great combination of PDF’s and Plus, you’ll have lifetime access to all of the resources included in the program so that you can effectively build your business at your own pace. The price for this freelance course is $240 which is a very minimal investment to make in your freelancing business. And if the price feels a bit much for you right, there are also payment options to help you get started. Plus, if you’re not fully satisfied with the course, there’s a 10-day full money back guarantee! Gotham Writers Courses is an awesome course to help with more than just content writing. It includes script writing, food writing, grammar courses, video game writing, travel writing, and much more. This is a little bit of a spin on the traditional courses as they are in person (if you’re in NY) and some are online as well. They vary from one-day courses to 10-week courses. Prices for these courses vary, depending on the class you choose. Some courses start at $150 and others can be upwards of $500. A huge perk of Gotham’s courses is that you can also pay extra for one-on-one training, coaching and mentoring. If you’re trying to specialize in different types of writing this might just what you need to get started. While freelance writing is great, you’re always working on someone else’s blog or business instead of your own. If you want to make more income and grow your brand, starting a blog is a great way to get started. Blogging 101 will help you build the foundations of the complicated and sometimes overwhelming blogging world. This course teaches you how to build a blog from scratch with a strong emphasis on the writing aspect. What I love about the course is that it includes topics such as SEO, keyword research, and formatting. You can skip all the common beginner blogger mistakes that nearly everyone makes. Plus, you can think of your blog as a living portfolio as clients will often Google you and find your content online. For $250, you can take a leap towards creating an online presence for yourself and getting noticed online by the right people. Blogcademy Online is another great option to launch your blog and writing career. Think of this is as blogging for beginners and intermediate writers. The three creators of this course have a collective 30+ years of experience in the blogging world. It is organized into easily watchable lessons with tons of value. Quick disclaimer, it is aimed more at the ladies, but guys, if you’re okay with being called a babe here and there, there’s a ton of great stuff. Everything you need to turn your blog idea into a profitable online business. The great thing with the internet is that there are new opportunities to make money as a writer constantly popping up. And Medium.com is one of the most recent ways. With Medium, you can publish your content and grow your brand, not a client. You can make money a few different ways on the platform. Anthony Moore created an awesome course about making money on Medium with Wealthy Writers. Anthony is a top-writer on Medium in the self-improvement space and is killing it with content. Thanks to his consistent work on the platform, he’s been able to grow his email list to over $20K in a very short time. Plus, he is a full-time writer thanks to his Medium presence and online course sales. Plus, you get weekly group calls, bonus PDFs and discounted coaching if you want to work more with Anthony. Learn more about Wealthy Writers. Medium Mastery 2.0 was created by Tom Kuegler who is another top-rated writer on Medium. He has over 20,000 followers on the site and is committed to helping other writers crush it online. Don’t wait a second longer, pick a course that resonates with you and take action. Quit thinking and start taking action. I suggest taking a course and implementing as soon as possible. Taking massive and consistent action is the key to crushing it as a freelance writer. Enter your best email and hit "Lets Go" to grab my freelance writing cheat sheet. I'll send you my step-by-step formula to teach you how I built a writing business with no experience, make $5K+/month & work part-time.